It was designed by French architect Paul Andreau and built in less than 7 years, with it finally being inaugurated in 2007. The exterior of the building is designed from titanium and glass & it is completely surrounded by an artificial lake. Visually stunning, and architecturally impressive, to say the least. This building was designed by the architects of Coop Himmelb(I)au and constructed in a little over 4 years, from 2003 to 2007. It is conveniently located in the Olympic Park in Munich. The building has 5 thematic blocks: Halls, Premiers, Forum, Gastronomy and Museum. Really, it’s everything you could ever want under one visually stunning roof. This 591 foot tall skyscraper in London has become one of the most easily recognized symbols of their skyling, as well as in modern architecture. It is often called the ‘gherkin’ because of its unusual design. The building was designed by Norman Foster along with Arup engineers and is the headquarters of the Swiss Reinsurance Company. The building has many energy saving designs incorporated in its architecture, like facilities for natural ventilation and double glazing for insulation. The topmost floor, i.e., the 40th floor of the building, has a bar that offers a beautiful 360 degree view of London. This angular 11 story, 185 foot high building was inaugurated in 2004. The building’s main architects were Rem Koolhaas and Joshua Prince-Ramus. The most famous feature of this library is the ‘book spiral’ which displays the library’s nonfiction collection in an unusual and visually pleasing way. 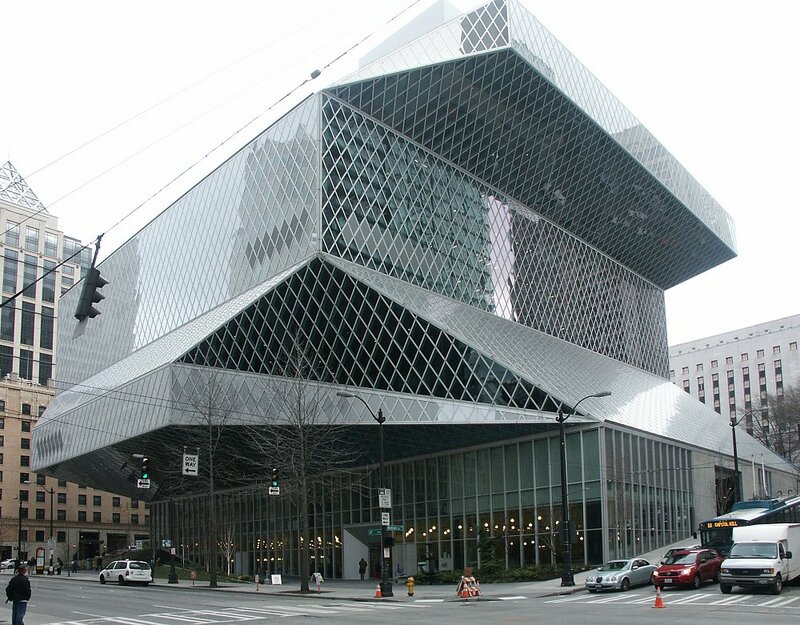 The library’s amenities include automatic book sorting, four hundred computer terminals, a reading room that overlooks the Elliott Bay, self check-out and more. 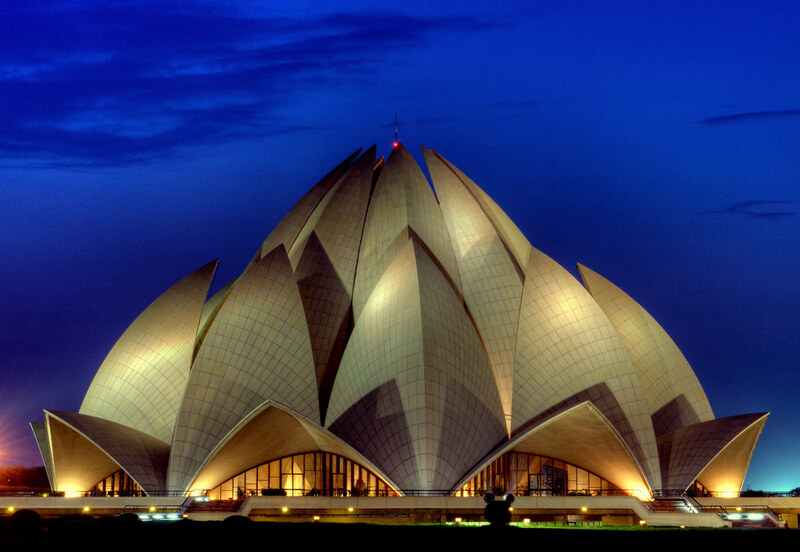 The aptly-named Lotus Temple was completed in 1986, and it is notable for its flowerlike shape. This Temple is open to all, regardless of religion or any other distinctions. Inspired by the shape and angles of the lotus flower, the temple was designed by the Iranian architect, Fariborz Sahba & the structural design was undertaken by the UK firm Flint and Neil. The Lotus Temple has a seating capacity of 1,300 people, and since its inauguration in Dec of 1986, it has attracted more than 70 million visitors from all over the world. Location: New York City, US. The Chrysler Building is an Art Deco style skyscraper located on the East Side of Midtown Manhattan in New York City. It is still the tallest brick building in the world, albeit with an internal steel skeleton. The building was designed and built by the architect William Van Allen, starting in 1928 and finished by 1930. This tower is 452 meters above street level and has 88 stores. 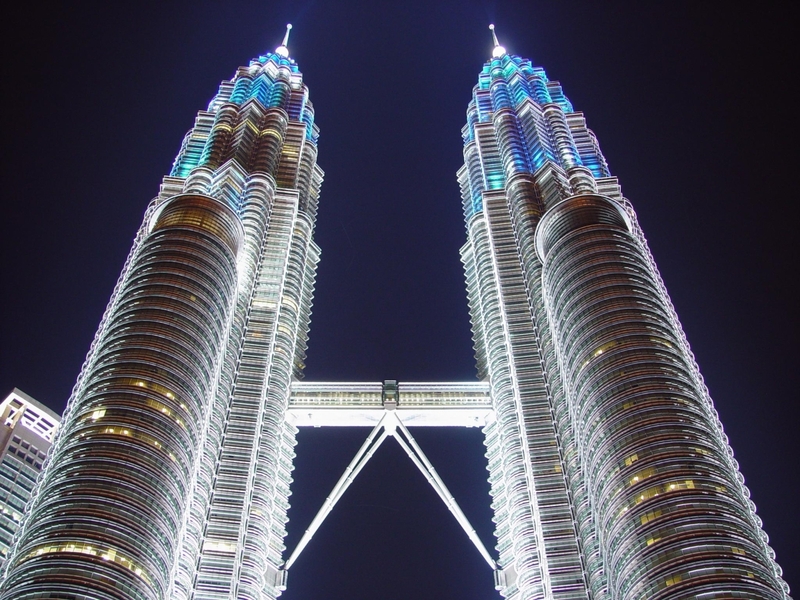 The construction of the building started in January 1992, and the Prime Minister of Malaysia officially opened it in 1999. This masterpiece was designed by the Argentine American architect César Pelli. The bridge links the two buildings at the 41st and 42nd floors, is located 170 meters in the air, and gives views over Kuala Lumpur. The buildings are also visible in the skyline from almost everywhere in Kuala Lumpur. This building was designed by the architect Adrian Smith, and it is the tallest artificial structure in the world, standing at a whopping 829.8 m (2,722 ft)! Its construction began in 2004, with the exterior completed in 2009. The building has set many world records due to its enormous structure, including highest man made structure, elevator with the longest travel distance, highest outdoor observation deck and highest occupied floor, just to name a few. The building contains a hotel, private residencies, office spaces, a restaurant and the public observation deck. Inaugurated in 1973, the Sydney Opera House is one of the most recognizable examples of modern architecture ever built. It was designed by Danish architect Jorn Utzon. The building consists of three groups of interlocked shells, with each shell being a part of a huge sphere. Both seasoned architects and those who barely know the word ‘architecture’ can marvel in awe at this structure’s beauty. This surreal-looking building was inaugurated October 18, 1997, by former King, Juan Carlos I of Spain. It currently belongs to the Salomon R Guggenheim Foundation. The Guggenheim Museum Bilbao is a museum of modern and contemporary art, designed by Canadian-American architect Frank Gehry, and it is admired by architects all over the globe for its modern and marvelous lines. The museum, which houses paintings from renowned artists in Spain and other countries as well, is constructed in a uniquely innovative manner, with seemingly random curves on the outer walls that are designed to catch light in different ways. Want to learn more? You can click here to start learning more about the imaginative and engrossing world of modern architecture today!